Electroconvulsive therapy (ECT) is a medical procedure in which a small, carefully controlled amount of electric current is passed through the brain to treat symptoms associated with certain mental disorders. The electric current produces a convulsion for the relief of symptoms associated with such mental illnesses as major depressive disorder , bipolar disorder , acute psychosis , and catatonia . Also known as electroconvulsive shock therapy or electroshock therapy, ECT is used together with anesthesia, muscle relaxants and oxygen to produce a mild generalized seizure or convulsion. With repeated administration, usually over a period of weeks, ECT is highly effective in relieving symptoms of several mental illnesses. The American Psychiatric Association's Practice Guidelines for the Treatment of Psychiatric Disorders discusses the use of ECT in the treatment of major depressive disorder, bipolar disorder and schizophrenia . Electroconvulsive therapy is administered to provide relief from the signs and symptoms of these and occasionally other mental illnesses. ECT is used routinely to treat patients with major depression, delusional depression, mania, and depression associated with bipolar disorder and schizophrenia. It is most closely associated with the treatment of severe depression, for which it provides the most rapid relief available as of 2002. In addition, patients suffering from catatonia, neuroleptic malignant syndrome, and parkinsonism may also benefit from the procedure. ECT is also recommended for certain subgroups of patients diagnosed with depression. Many elderly patients, for example, respond better to ECT than to antidepressant medications. Pregnant women are another subgroup that may benefit from ECT. Because ECT does not harm a fetus as some medications might, pregnant women suffering from severe depression can safely choose ECT for relief of their depressive symptoms. Candidates for ECT must be carefully screened. Prior to receiving this treatment, patients receive a thorough evaluation to identify any medical conditions they may have that might complicate their response to the procedure. This evaluation includes a complete medical history, a physical examination, and routine laboratory tests. In addition to standard blood tests, the patient should receive an electrocardiogram (EKG) to test for heart abnormalities. Evidence of a recent heart attack would disqualify a patient from receiving ECT. Spinal and chest x rays can identify other physical conditions that might complicate a patient's response. Finally, a computed tomography (CT) scan should be performed to rule out any structural abnormalities in the brain that might be made worse by the electrical stimulation and resulting convulsions associated with ECT. Signs of a recent stroke or a tumor in the brain, for instance, would disqualify a patient as a candidate for ECT therapy. The doctors who are administering the procedure must receive the informed consent of the patient a day before the first treatment is given. In addition, at least two psychiatrists should confirm that ECT is the proper treatment for a specific patient. One of these physicians should serve as the source of a "second opinion" and not be actively involved in treating the patient on a daily basis. This second, or outside, medical consultant should independently determine that ECT is appropriate for a particular patient after conducting a physical examination. The second physician should also confirm that the patient is mentally sound enough to give informed consent to the procedure. Patients in any age group are eligible for treatment with ECT; however, informed consent for patients under 18 must be given by a parent or legal guardian. Ugo Cerletti and Lucio Bini, who were two Italian physicians working in the 1930s, were the first to use electroconvulsive therapy to treat patients with severe mental illnesses. Their first patient was a 39-year-old unidentifiable homeless man who had been found wandering through the railroad station in Rome, mumbling incoherently. The doctors were inspired to try the new method by a notion that intrigued psychiatrists in this period, who were desperate for useful therapies— namely, that epilepsy and schizophrenia never appeared in the same person at the same time. (It was later shown, however, that it is possible for the same individual to suffer from both disorders at the same time.) Since epilepsy causes seizures , psychiatrists in the 1930s reasoned that artificially induced seizures might cure schizophrenia. Some in the medical community were receptive to this approach because physicians were already using a variety of chemicals to produce seizures in patients. Unfortunately, many of their patients died or suffered severe injuries because the strength of the convulsions could not be well controlled. As ECT became more widely used, many members of the general public and some in the psychiatric profession were opposed to its use. To them it seemed barbaric and crude. ECT joined psychosurgery as one of the most intensely distrusted psychiatric and neurological practices. 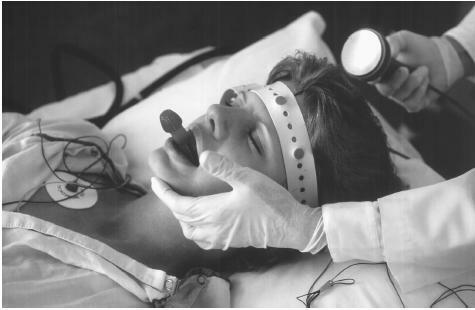 Many people were frightened simply because ECT was called "shock treatment." Many assumed the procedure would be painful; others thought it was a form of electrocution; and still others believed it would cause brain damage. Unfavorable publicity in newspapers, magazines and movies added to these fears. Indeed, from the 1930s up through the 1960s, doctors and nurses did not explain either ECT or other forms of psychiatric treatment to patients and their families very often. Moreover, many critics had good reasons for opposing the procedure before it was refined. Neither anesthesia nor muscle relaxants were used in the early days of ECT. As a result, patients had violent seizures, and even though they did not remember them, the thought of the procedure itself seemed frightening. Even more unfortunately, this crude, early version of ECT was applied sometimes to patients who could never have benefited from ECT under any conditions. As the procedures used with ECT became more refined, psychiatrists found that ECT was an effective treatment for schizophrenia and soon after, depression and bipolar disorder. The use of ECT, however, was phased out when antipsychotic and antidepressant drugs were introduced during the 1950s and 1960s. The psychiatric community reintroduced ECT several years later when patients who didn't respond to the new drugs stimulated a search by mental health professionals for effective, and if necessary, non-drug treatments. While the new psychotropic medications provided relief for untold thousands of patients who suffered greatly from their illnesses and would otherwise have been condemned to mental hospitals, the drugs unfortunately produced a number of side effects, some of which are irreversible. Another drawback is that some medications do not have a noticeable effect on the patient's mood for two to six weeks. During this time, the patient may be at risk for suicide. In addition, there are patients who do not respond to any medications or who have severe allergic reactions to them. For these individuals, ECT may be the only treatment that will help. Today, with the introduction of improved safety procedures, ECT is a remarkably safe and highly effective procedure. It is performed in both inpatient and outpatient facilities in specially equipped rooms with oxygen, suction, and cardiopulmonary resuscitation equipment readily available to deal with the rare emergency. A team of health care professionals, including a psychiatrist , an anesthesiologist, a respiratory therapist, and other assistants, is present throughout the entire procedure. This woman has been prepared to receive electroconvulsive therapy— an effective treatment for depression. This patient has been given a short-acting medication that induces unconsciousness, and another medication was given that relaxes her muscles so that the induced seizures will not produce any violent contractions. Instead, the patient lies quietly on the operating table. The rubber mouthpiece keeps her from biting down on teeth or her tongue during the seizure. patient's body. The hand or foot is used to monitor muscle movement induced by the electrical current applied to the brain. A breathing tube is then inserted into the unconscious patient's airway and a rubber mouthpiece is inserted into the mouth to prevent him or her from biting down on teeth or tongue during the electrically induced convulsion. As the current is applied, brain activity is monitored using electroencephalography . These brain wave tracings tell the medical team exactly how long the seizure lasts. The contraction of muscles in the arm or leg not affected by the muscle relaxant also provides an indication of the seizure's duration. The electrodes for ECT may be placed on both sides of the head (bilateral) or one side (unilateral). Physicians often use bilateral electrode placement during the first week or so of treatments. An electric current is passed through the brain by means of a machine specifically designed for this purpose. The usual dose of electricity is 70–150 volts for 0.1–0.5 seconds. In the first stage of the seizure (tonic phase), the muscles in the body that have not been paralyzed by medication contract for a period of 5–15 seconds. This is followed by the second stage of the seizure (clonic phase) that is characterized by twitching movements, usually visible only in the toes or in a nonparalyzed arm or leg. These are caused by alternating contraction and relaxation of these same muscles. This stage lasts approximately 10–60 seconds. The physician in charge will try to induce a seizure that lasts between one-half and two minutes. If the first application of electricity fails to produce a seizure lasting at least 25 seconds, another attempt is made 60 seconds later. The session is stopped if the patient has no seizures after three attempts. The entire procedure, from beginning to end, lasts about 30 minutes. The absence of seizures is most commonly caused either by the patient's physical condition at the time of treatment or by the individual nature of human responses to drugs and other treatment procedures. Just as there are some patients who do not respond to one type of antidepressant medication but do respond to others, some patients do not respond to ECT. The total number of ECT treatments that will be given depends on such factors as the patient's age, diagnosis , the history of illness, family support and response to therapy. Treatments are normally given every other day with a total of two to three per week. The ECT treatments are stopped when the patient's psychiatric symptoms show significant signs of improvement. Depending on the patient's condition, this improvement may happen in a few weeks or, rarely, over a six-month period. In most cases, patients with depression require between six and twelve ECT sessions. Only rarely is ECT treatment extended beyond six months. In such infrequent cases, treatments are decreased from two to four per week after the first month to one treatment every month or so. No one knows for certain why ECT is effective. Because the treatment involves passing an electric current through the brain, which is electrically excitable tissue, it is not surprising that ECT has been shown to affect many neurotransmitter systems. Neurotransmitters are chemical messengers in the nervous system that carry signals from nerve cell to nerve cell. The neurotransmitters affected by ECT include dopamine, norepinephrine, serotonin and GABA (gamma-aminobutyric acid). Patients and their relatives are prepared for ECT by viewing a videotape that explains both the procedure and the risks involved. The physician then answers any questions these individuals might have, and the patient is asked to sign an informed consent form. This form gives the doctor and the hospital legal permission to administer the treatment. After the form has been signed, the doctor performs a complete physical examination and orders a number of tests that can help identify any potential problem. These tests may include a chest x ray; an electrocardiogram (EKG); a CT scan; a urinalysis; a spinal x ray; a brain wave tracing (EEG); and a complete blood count (CBC). Some medications, such as lithium and a class of antidepressants known as monoamine oxidase inhibitors (MAOIs), should be discontinued for some time before ECT administration. Patients are instructed not to eat or drink for at least eight hours prior to the procedure in order to reduce the possibility of vomiting and choking. During the procedure itself, the members of the health care team closely monitor the patient's vital signs, including blood pressure, heart rate and oxygen content. The patient is moved to a recovery area after an ECT treatment. Vital signs are recorded every five minutes until the patient is fully awake, which may take 15–30 minutes. The patient may experience some initial confusion, but this feeling usually disappears in a matter of minutes. The patient may complain of headache, muscle pain, or back pain, which can be quickly relieved by aspirin or another mild medication. Following successful ECT treatments, patients with bipolar disorder may be given maintenance doses of lithium. Similarly, patients with depression may be given antidepressant drugs. These medications are intended to reduce the chance of relapse or the recurrence of symptoms. Some studies have estimated that approximately one-third to one-half of patients treated with ECT relapse within 12 months of treatment. After three years, this figure may increase to two-thirds. Follow-up care with medications for bipolar disorder or depression can reduce the relapse rate in the year following ECT treatment from 50% to 20%. Some patients might relapse because they do not respond well to the medications they take after their ECT sessions are completed. In some cases, patients who relapse may suffer from severe forms of depression that are especially difficult to treat by any method. Recent advances in medical technology have substantially reduced the complications associated with ECT. These include memory loss and confusion. Persons at high risk of having complications following ECT include those with a recent heart attack, uncontrolled high blood pressure, brain tumors, and previous spinal injuries. One of the most common side effects of electroconvulsive therapy is memory loss. Patients may be unable to recall events that occurred before and after treatment. Elderly patients, for example, may become increasingly confused and forgetful as the treatments continue. In a minority of individuals, memory loss may last for months. For the majority of patients, however, recent memories return in a few days or weeks. Elderly patients receiving ECT may experience disturbances in heart rhythm; slow heartbeat (bradycardia); or rapid heartbeat (tachycardia); and an increased number of falls. As many as one-third of elderly patients may experience such complications following the procedure. ECT often produces dramatic improvement in the signs and symptoms of major depression, especially in elderly patients. Sometimes the benefits are evident even during the first week of treatment. A remarkable 90% of patients who receive ECT for depression respond positively. By contrast, only 70% respond as well when treated with antidepressant medications alone. While it is estimated that as many as 50% of successfully treated patients will have future episodes of depression, the prognosis for each episode of illness is good. Mania also often responds well to treatment with ECT. The picture is not as bright for schizophrenia, which is more difficult to treat and is characterized by frequent relapses. Post-treatment confusion and forgetfulness are common, though disturbing, symptoms associated with ECT. Doctors and nurses must be patient and supportive by providing patients and their families with factual information about the nature and timeframe of the patient's recovery. A few patients are placed on maintenance ECT. This term means that they must return to the hospital every one to two months as needed for an additional treatment. These persons are thus able to keep their illness under control and lead normal and productive lives. If an ECT-induced seizure lasts too long (more than two minutes) during the procedure, physicians will control it with an intravenous infusion of an anticonvulsant drug, usually diazepam (Valium). Overall, ECT is a very safe procedure. The complications encountered are no different from those that may occur with the administration of anesthesia without ECT. There is no convincing evidence of long-term harmful effects from ECT. Researchers are continuing to explore its potential in treating other disorders. American Psychiatric Association. Practice Guidelines for the Treatment of Psychiatric Disorders. Fourth edition, text revised. Washington, DC: American Psychiatric Association, 2000. Mondimore, Francis Mark. Depression, The Mood Disease. Baltimore, MD: The Johns Hopkins University Press, 1995. Nathan, Peter, E. and Jack M. Gorman, eds. A Guide to Treatments that Work. New York, NY: Oxford University Press, 1998. Zarit, Steven H. and Judy M. Zarit. Mental Disorder in Older Adults, Fundamentals of Assessment and Treatment. New York, NY: The Guilford Press, 1998. Fink, M. "Convulsive therapy: a review of the first 55 years." Journal of Affective Disorders 63, no. 1-3 (March 2001): 1-15. Grant, M. M. and J. M. Weiss. "Effects of chronic antidepressant drug administration and electroconvulsive shock on locus coeruleus electrophysiologic activity." Biological Psychiatry 49, no. 2 (January 2001): 117-129. Nuland, Sherwin B., M.D. "The Uncertain Art: Lightning On My Mind." The American Scholar 71 (Spring 2002): 127-131. American Psychiatric Association. 1400 K Street NW, Washington, DC 20005. <http://www.psych.org> . National Alliance for the Mentally Ill (NAMI). Colonial Place Three, 2107 Wilson Blvd., Suite 300, Arlington,VA 22021. <http://www.nami.org/index.html> . Sabbatini, Renato M. E. "The History of Shock Therapy in Psychiatry." Brain & Mind Magazine June 1997/February 1998 [cited 20 April 2002]. <http://www.epub.org.br/cm/n04/historia/shock_i.htm#cerletti> . Sackeim, Harold A. "ECT Effective for Many." NAMI-NYC Metro. [cited 21 April 2002]. <http://nyc.nami.org/askthedoctor/ask9.htm> . I had over 70 treatments in one year; I told the doctor that my memory was getting worse and worse at each visit but he dismissed my concerns and continued telling me I needed to continue treatments. When I finally went against his recommendation of continuing treatment and quit, I was practically drooling. I lost my short term memory and a LOT of my long term memory. A year later after "working out" my brain, my short term has improved but the long term memories I've lost are lost for good. Is this a normal amount of treatments or should this doctor be reported to the medical board? Yes he should be; (ECT) has been used for a very long time but it is not normal when someone starts to have those symptoms. I believe he should be reported mainly because he didn't listen to the patient, and often I have found the knows a bit more than a doctor might when it comes to their body. You know what you feel, and what your reaction to something is better than they do. Electroconvulsive therapy in the 1800's often ended with the patients losing memory, and or dying. 70 treatments weren't common. and No that's far to much. that's a vast amount of electricity coursing through the body. and in a year? that's not something i would have let a doctor do to me. that should more than likely have been drawn out. Would you have blood taken everyday 5 times a day for a year? where would that leave you? I say read into this and submit this to medical board; look into the history of the therapy. Long term memory loss more than likely means brain damage. Trust me, unless the choice is between death (by persistent suicidal thoughts absolutely nothing stops) and ECT, I do not recommend this treatment. After an 'attempted suicide with intent' I was offered ECT as I also have treatment resistant depression for about 12 years, often very severe. I had two treatments, and then withdrew consent due to the side effects. IMHO, what good is life when in my case all I have left is my intelligence and this seemed to be destroying it. I was prescribed 3 treatments a week for 4 weeks. Bilateral electrode placement, which is know to cause the most memory impairment (electrode on left and right side of head), should have been started on Unilateral electrode placement (electrodes forehead and rear of head, affects only half of brain), often just as effective with much less side effects. Despite how benign I was told it would be, and the information that was provided made it seem, I found it quite brutal overall, quite frankly I would never have it done again no matter what my condition. Even with only 2 treatments the memory loss was severe. I cannot believe you have actually gone through 70!! IMHO that is like torture or something, I don't know what else to call it. In 1999, i had ect every single month from 3-12 treatments enough, close to 100 treatments. My memory nearly 15 yrs later is terrible. Events i would have liked to forget, i didn't. I feel so stupid and useless because i can't remember instructions long enough to complete a task. I felt very manipulated into signing consent. If i could have put my thoughts together well enough years ago, i would have tried to get that barbaric doctor stripped of his medical license. Sadistic, cruel, total emotional murder but absolutely nothing i can do because the "crazy" label has been stuck on me and Dr. Sicko is still destroying people, shredding their personalities, and manipulating patients to sign consent. He manipulated me by telling me if i did not comply, he would have my child removed from my home. I was never violent, loud, destructive, just totally broken and sad. This twisted practice destroyed so much of me and it should be outlawed as cruel, ineffective, and changing people from functional, contributing members of society to lost souls empty of emotion, positive memories, and any productive future.